In some sources, this pope is called Stephen X and Pope Stephen VIII is called Stephen IX. See Pope-elect Stephen for detailed explanations. Pope Stephen IX (Latin: Stephanus IX; c. 1020 – 29 March 1058) reigned from 3 August 1057 to his death in 1058. Christened Frederick, he was a younger brother of Godfrey III, Duke of Lower Lorraine, and part of the Ardennes-Verdun dynasty that would play a prominent role in the politics of the period, which included their strong ties to the abbey of St. Vanne. Frederick would initially be archdeacon of a cathedral church in Liege called St. Lambert and later became abbot of Monte Cassino. He was raised to the cardinalate by Pope Victor II and, for some time, discharged the function of papal legate at Constantinople. He was with Leo IX in his expedition against the Normans and at one time had to take refuge from Emperor Henry II in Monte Cassino. Five days after the death of Pope Victor II, he was chosen to succeed him as Pope Stephen IX. 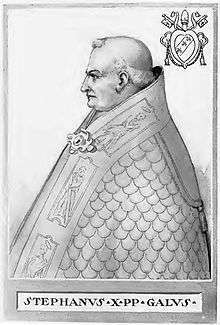 He enforced the policies of the Gregorian Reform as to clerical celibacy, was planning for the expulsion of the Normans from Italy and the elevation of his brother to the imperial throne, when he was seized by a severe illness, from which he only partially and temporarily recovered. Stephen IX died at Florence on 29 March 1058 and is considered by the current-day Roman Catholic Church to have been succeeded by Pope Nicholas II, though others consider his successor to be Pope Benedict X, officially regarded as an antipope. ↑ Mittermaier, Karl (2006). Die deutschen Päpste. 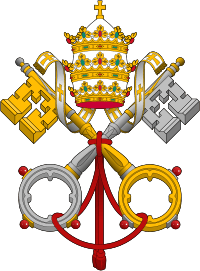 Benedikt XVI. und seine deutschen Vorgänger. p. 102. ↑ Kelly, Thomas Forrest, The Beneventan Chant, (Cambridge University Press, 1989), 39. 1 2 3 Patrick Healy, The Chronicle of Hugh of Flavigny: Reform and the Investiture Contest in the Late Eleventh Century, (Ashgate Publishing, 2006), 50. ↑ Charles Radding and Francis Newton, Theology, Rhetoric, and Politics in the Eucharistic Controversy, 1078–1079, (Columbia University Press, 2003), 89. ↑ H. E. J. Cowdrey, Pope Gregory VII, 1073–1085, (Oxford University Press, 1998), 482. ↑ He explicitly took the name and the number IX. 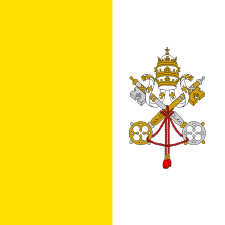 He signed all his official documents Stephanus Nonus Papa (Stephen Ninth Pope), although some lists called him Stephen X from the second half of the 16th century to the first half of 20th. Herbermann, Charles, ed. (1913). 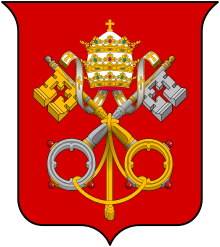 "Pope Stephen (IX) X". Catholic Encyclopedia. New York: Robert Appleton Company.